This woman, Edna Cintron is standing in the hole in the North Tower of the World Trade Center where the plane crashed into the building. How can Enda be alive? The US government claims that not long after this photo was taken the raging inferno that followed the plane crash caused the building to weaken and collapse. When this photo was taken the fire was no longer intense and the temperature was definitely not high enough to harm a person, let alone to cause significant damage to the high grade structural steel the building was constructed with. Check out the ReOpen911 website and the Painful Questions book to see the above pictures in context. Or have a look at this picture. Hope is an illusion. If you want to create something you have to actively work at it and not hope that somebody else, or somehow, some miracle is going to happen and people will come to come to their senses or whatever. We either will create a world of peace or we won't. But it's our choice. Just in my lifetime, I've watched the American people for the first time in history stop a war in progress. I've watched the civil rights movement go from when I was a child when segregation was the law. I have watched the American people stop the production of 112 nuclear power plants. None of these were started by huge organizations, by super heroes or heroines. Each and every one of those was started by one, two or a handful of people who said no. It is becoming increasingly obvious that the mainstream media can no longer be relied upon to provide fair and reasonable coverage of world events. We hope the information in the various sites below will provide you with a good balance of alternative opinions that will allow you to form a more accurate picture of the current state of the world. 9/11 Citizens Watch is a new citizen-led oversight process established to monitor and constructively engage the Government-sanctioned National Commission on the Terrorist Attacks on the U.S.
Amazing site. The seven laws of science prove there was controlled demolition at the WTC. Internet webcasting pioneer Richard A Siegel, of OnlineTV fame, captured both of the World Trade Towers collapsing and a lot more. See the raw footage and listen to Rick's eyewitness testimony of the daring helicopter rescue on the roof of the south tower, WTC2, only moments before it collapsed into "a pile of dust." For the first time, see and hear the massive explosions at the base of the towers causing clouds of dust to rise up from street level before each tower fell. Prepare yourself for the shocking reality of raw digital video that was removed from the internet when all the OnlineTV computers were seized. Despite legal attempts to recover them, they remain locked away to this day... Stand in the shoes of a 9-11 Eyewitness. Believe your own eyes and ears. Reach your own conclusion. Develop your own opinion. Act upon your conscience. The internet version of the DVD can be downloaded from the Question 911site. William Rodriguez, was the last person to escape from the World Trade Center as the building collapsed. Because of the gift of life he was given on that day he decided to dedicate his life 24/7 to help victims to find out what really happened on that day and and to educate people about peace. He also has a video available: What Really Happened on 9/11? Skeptical of theories which are not based on cold, hard facts? We encourage your skepticism, and applaud you for examining the facts for yourself. There are many bizarre conspiracy theories floating around about 9/11, which are spread either out of ignorance or for malicious purposes. This website provides links to credible sources, so that you can easily check the information for yourself (whenever possible, we cite mainstream news sources; at times we cite credible witnesses whose story is only covered by smaller publications). There are numerous red flags in the official 911 story, which requires a long series of highly improbable coincidences. Questioning that story is an act of responsible citizenship. Excellent and thorough site. Many many resources. Highly recommended. Extensive and detailed website that attempts to cover most aspects of the Sept. 11th events, including the attacks themselves, the motive and media. What happened on 9/11? What is happening to our world? How can we improve our situation? 911Truth.Org is a campaign to educate the public about the Sept. 11th coverup and inspire popular pressure to overturn the "incompetence theory" and expose the truth surrounding the events of 9/11; namely, that elements within the U.S. government must have been complicit, or worse, for the attacks to happen the way they did. Read this excellent article by Professor David Ray Griffin on the controlled demolitions that brought down the three buidings at the World Trade Center. Learn the reasons why the general public were not aware of them and how the witnesses to the explosions were all silenced. The National 9-11 Visibility Project formed in the Fall of 2003 by a group of concerned citizens in Seattle and Kansas City working to support the efforts of the 9-11 victims' families to obtain a complete and unobstructed investigation into the 2001 terrorist attacks. This web site came about to give Charlie Sheen the support he so deserves. It is also hoped that the sentiments expressed will encourage others to step into the light as well. Click on the "Click Here to Bravo Charlie" link to let Charlie Sheen know he has your support. The uninitiated might also want to take a look through the extensive list of the links under "911 The Evidence" Look at the information, make up your own mind. There is also a forum for you to discuss the issues. David Ray Griffin, a Christian theologian says that the 9/11 controlled demolition of World Trade Center is now a fact, not a theory! Download his interview on CSPAN April 30, 2005 - Part one here, Part two here. Alternative download link also available in the Streaming Video section. DVDs, books, online videos and excellent information concerning the destruction of the twin towers by explosives as well as detailed analysis of the Pentagon attack. Endorses the Unanswered Questions initiative of the Family Steering Committee for the Independent 9/11 Commission with New York legislators, first responders, victim families, and millions of NY citizens calling for a new investigation of unsolved 9/11 crimes, and the full prosecution of those found responsible. One of the earliest sites to question the events of 911. Now revamped and updated. A local New York City based group working to expose the September 11th. coverup. Very detailed research on the damage due to the attack that occurred at the Pentagon. 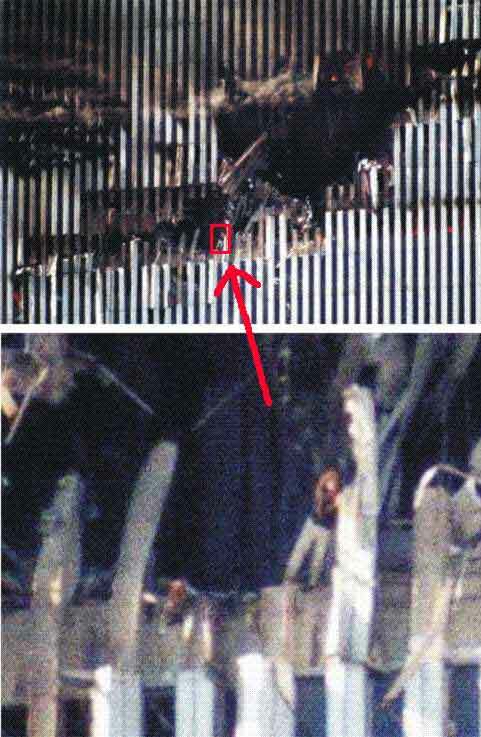 Physics 911 was created and is maintained by a group of scientists, engineers and other professionals in order to investigate the event of 9/11 from a scientific viewpoint. Old version of the above site but still active. Alex Jones, the very controversial American documentary film producer, journalist and radio and television host from Austin, Texas, who is best known for his radio show and web page Prison Planet, covers just about every questionable aspect of September 11th . In support of both Professor Jones and Professor David Ray Griffin, Professor Fetzer has written an article titled Thinking about "Conspiracy Theories": 9/11 and JFK. The article downloadable from his website here. Also checkout this article on the failure of the NIST (National Institute of Standards and Technology) to adequately assess why the three buildings at the World Trade Center collapsed. Highly recommended website that has many movies available for download on this page. Check out the three part 9/11 Eyewitness movie (mentioned above) and the movie The Building Of The World Trade Center, which shows how well built and strong the WTC Twin Towers were. Well researched and documented site. Now offering US$1,000,000 to anyone who can prove that explosives were not used to demolish the twin towers of the World Trade Center. Easy money for all those ’experts’ out there that say the opposite. ReOpen 911 is produced by philanthropist Jimmy Walter. Excellent source of information and files, including the all the 9/11 documents previously withheld by the Port Authority of New York and New Jersey. Check out this CNN story here. Also you must check out a map showing the flight paths of the four planes in relation to the MANY military bases in the area. Check out the PDF file 'Fairytale From Hell' available on this site. The format is ideal for printing and passing out. The PDF will soon be viewable in HTML format. Explores different theories surrounding Flight 93’s crash. An analysis by Morgan Reynolds, Ph.D., professor emeritus at Texas A&M University and former director of the Criminal Justice Center at the National Center for Policy Analysis headquartered in Dallas, TX. By Steven E. Jones, Department of Physics and Astronomy, Brigham Young University, Utah, USA. See a newspaper review of his announcement here. Download his interview on the local Utah TV station here. View a complementary paper on this topic here. There is a Japanese translation of Why Indeed Did the WTC Buildings Collapse available here. Analysis of the collapse of the World Trade Center building number seven, which was the third skyscraper to collapse into rubble on September 11, 2001.